How do I find the Open Skate Schedule? 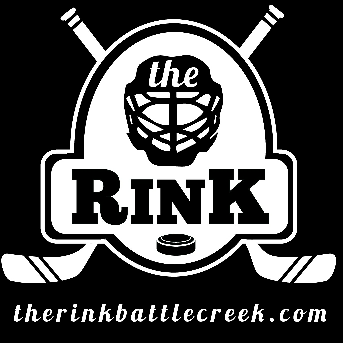 There are several ways in which you obtain the Rink Battle Creek's Schedule. You can call 963-RINK for the voicemail recording of the upcoming week's schedule. What should I wear when visiting the Rink Battle Creek? The Rink Battle Creek offers several activities within our doors and your dress may change depending on your cause for visiting. If you are visiting to skate, We recommend that you dress warmly with at a minimum pants and a long sleeve shirt. Remember you are skating on over 20,000 gallons of ice. If you are visiting us for a game, please note that the Rink is a close seating facility and the stands will be cold. If you prefer a warmer seat, please sit in the bleachers above Row 5. I have never skated before. What should I expect? When skating for the first time or the first time in a while, ​you an expect that upon registering you will be asked to sign a liability waiver and be asked your shoe size. The staff at the Rink Battle Creek will provide you a pair of rental skated (as needed) These skates will differ in size to your shoe size due to the conversion of sizes. You will want to untie the skate all the way to the ankle before you insert your foot. You will then want to lace up the skate as tight as possible. For the most comfortable fit be sure to wear long socks. The Rink Battle Creek has new rental skates and these skates are going to be much stiffer than once available in the past. The Rink will also have skate aids available for your use..
My kids would like to play Hockey. What should I do?